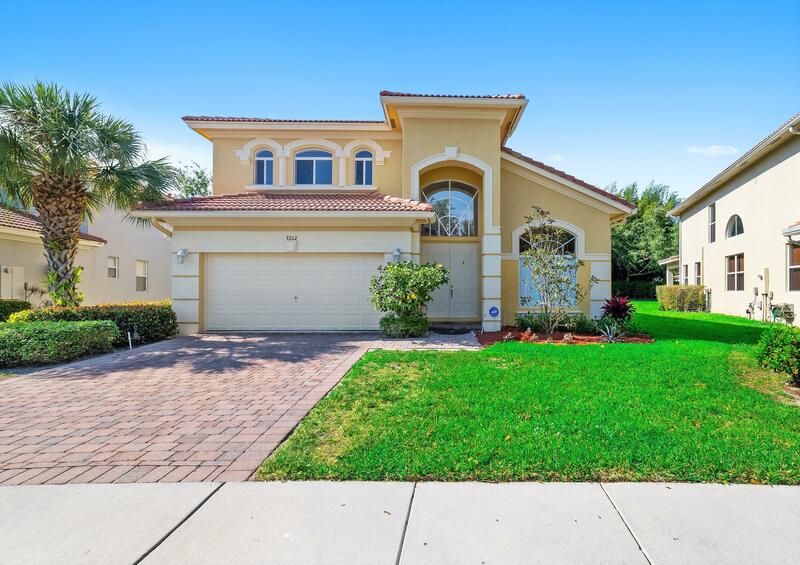 All Citrus Isle / Silver Glen homes currently listed for sale in Lake Worth as of 04/21/2019 are shown below. You can change the search criteria at any time by pressing the 'Change Search' button below. "This updated, meticulously maintained 3 bedroom plus loft, 2 bathroom home with 2-car garage and fenced backyard is all about comfort! Vaulted ceiling in the living and dining area make this home feel open and airy. The kitchen is equipped with stainless steel appliances (2016), light wood cabinets finished with moldings, granite-like counter tops, oversized island and pantry closet. All bedrooms are downstairs, and a separate oversized loft that could be converted into additional bedroom is upstairs. There is nice laminate flooring in the living, dining, family rooms and all bedrooms, tile in the kitchen. Stairs and loft are finished with soft neutral color carpet that was replaced in 2016. The master bedroom features a walk-in closet. Master bathroom offers split vanities, a separate"